I love to entertain! We host regular get togethers with some of the most amazing friends and family and now and then I’ll whip up a quick dip, or snack to enjoy with them! 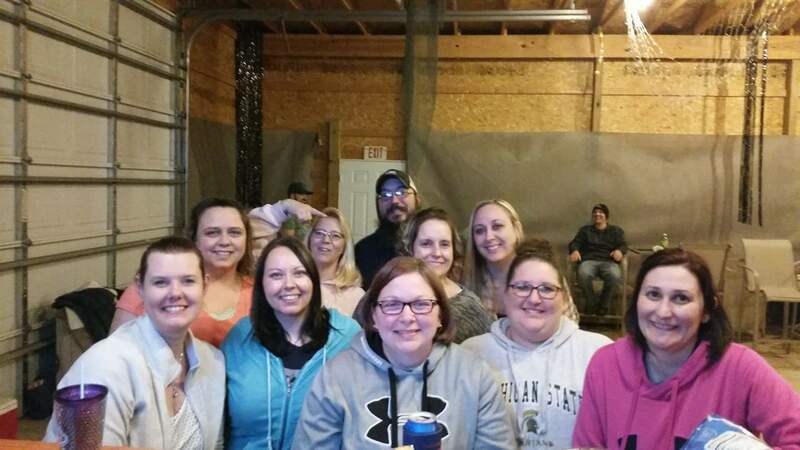 Last night was no exception our “barn league” spring training tournament took place it was a ton of fun! 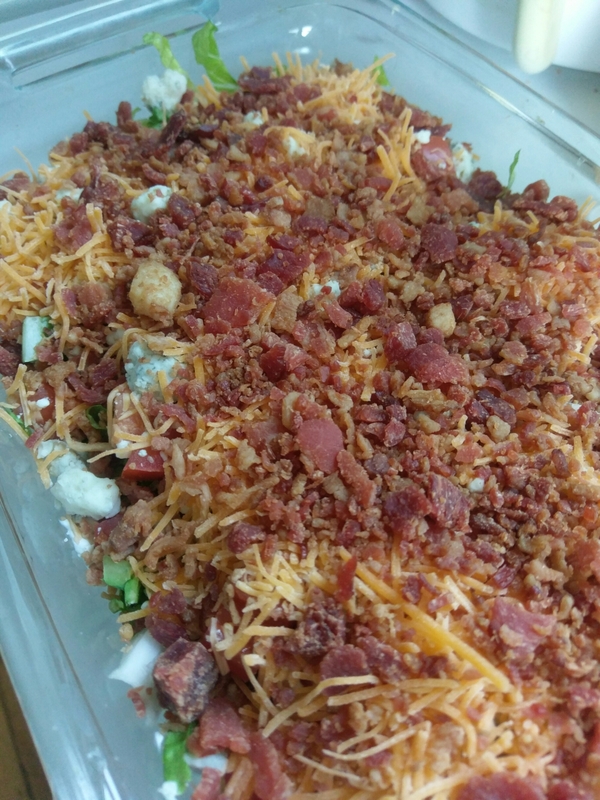 I made a quick tasty Cobb salad chip dip. Here’s what you’ll need. Spread this into the bottom of a glass pan, layer the remaining ingredients on top. That’s it! I serve it with corn chips or tortilla chips. So yummy and the perfect treat for a group to share. Enjoy! Yum!! What a great combo of ingredients! It’s really nice flavorful dip. You can’t help but go back for more! Yummmm! And so easy! Thanks for sharing!